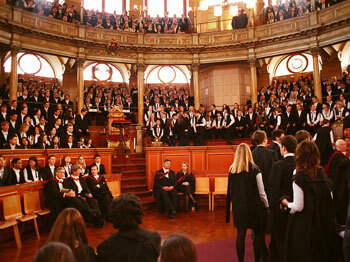 The Oxford Guild Society has a long and illustrious history dating back to 1897. The Guild is the largest university society in both Europe and the world as of 2015 according to the Times and the BBC and has been Oxford’s, the UK's and Europe’s largest and oldest professional society for decades since our foundation. We have made a hugely significant mark over more than a century, with an unrivalled track record that has meant we have truly dominated the society scene. The Guild has been at the forefront of innovation, has led intellectual discussion and debate and has been the breeding ground for many of the world’s most successful people, kickstarting their prominent careers. Our well renowned heritage is our exciting future and we intend to continue to shape the future of the world in the years to come. It is not just our organisation that is steeped in history but also our members and our committees, made up of the very best and brightest. The huge volume of success stories inspire current generations more than anything else. For over a hundred years since our foundation in 1897, our alumni have been among the most innovative, creative and pioneering figures in the world. From our membership we can boast of leaders across all fields globally from business, science and politics to sport, music, acting and much more. Through our committees we have produced the cream of the crop with some of the most influential and successful leaders, executives and innovators across different fields hailing from our breeding ground. Year on year, people reiterate the role that the Guild played in their development – not just in terms of their careers, securing internships, jobs (not just their first graduate role but beyond as well), but the connections they developed and the important skills and lessons they learnt and as a result, volunteer large amounts of their time and energy to the Guild to give back. The Guild, over the decades, has always been at the cutting edge, attracting the most prominent and successful companies and guest speakers, offering the most creative events and most helpful services whilst also bringing together future leaders and connecting, inspiring and supporting them, in order to provide the best possible launchpad for their development and future successes. We have always been associated with a range of commercial organisations that are popular career options for Oxford students from investment banks, consultancies and professional services companies to industrial, technological and legal firms to name just a few; and we are keen to continue to move forward the Society on these foundations, making sure students can gain awareness of and access to the full range of opportunities out there so they can make informed decisions about the right career choice for them. Historically, amongst other things we have organised popular events, high profile speaker meetings and conferences, balls, socials, fairs, trips and published several booklets and guides on commercial careers each year. The old Oxford Guild had its own offices and a huge annual budget of hundreds of thousands and we are now again in this position. 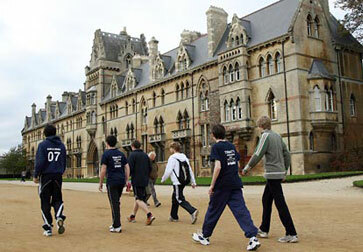 To quote the Independent in June 2012, the ‘Guild’s brand name and reputation are unrivalled’. Its reputation is based on experience, expertise and in-depth understanding of both the University community’s and partners’ needs (everyone we work with from sponsors to visiting guests). The high level of attendance to all the Society events throughout the years, as well as the trust and great satisfaction of its past members and partners are testament to its success. 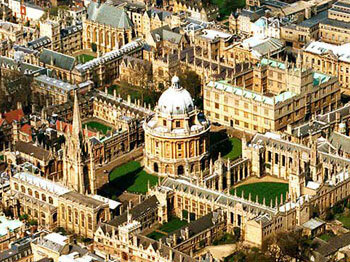 The number of high quality individuals from Oxford University that have applied to our partners embodies the strength of the society in boosting a sponsor’s profile on campus. The Careers Service, the Student Union and the Said Business School have had long relations with the Society, which eventually in 2005 came to an end as the committee that year unfortunately did not pass it on, and several members went on to form their own smaller societies. A spin-off society called Future Flyers was set up in 2006 and was successful as a banking and consulting society for two years before breaking in two and merging with other societies. A few years later this all changed when in their first years at New College, Abbas Kazmi and Adam Chekroud relaunched the society. 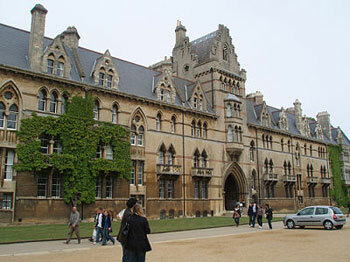 They had both been involved in the other careers societies around at the time at the University, as well as other campus organisations that organised events from speakers to socials, and they, along with many other students, found their offerings very limited and the services available to students at Oxford in general when it came to careers advice and help less than they had hoped for. They got together a team of over 25 other students who shared their vision and worked hard to change the status quo, building upon and improving the existing offerings at Oxford (whilst learning from and avoiding the mistakes as well!) and leveraging a wide range of experience and contacts. Over the years we have worked hard to restore the Oxford Guild Society to its former glory and the glowing testimonials we have achieved are testament to our success. We are delighted that our hard work and success has been widely recognised. Just recently we won our 10th national best university society award out of 10 in the last three years against over 1000 other societies of ALL types across the UK. The Oxford Guild has been in over 1000 newspapers, magazines, websites and radio and TV outlets in over 100 countries in over 5 continents thus far in just the last few years alone, including, to name but a few, TIME, The Telegraph, The Financial Times, The BBC, MTV, Sky News, The New York Times, The Guardian and the Times. The Society has always enjoyed fruitful relationships with its partners and members and we aim to continue this. We have the backing and motivation to be able to make the Oxford Guild great again and our work over the last few years has shown this to be the case as we have gone from strength to strength. We have merged several other societies and the progress has been phenomenal and hugely impressive. We have never been in a stronger position than we are today and this sentiment is echoed by former Presidents and committee members from different eras. Today we are proud of our strongest ever position, size and reach but believe that we can grow and develop this even further and are fiercely determined to do so. 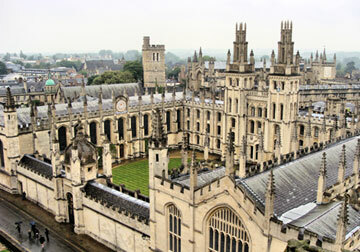 We have unrivalled global reach with unique access and exposure not just at Oxford University and its colleges and departments, but beyond that both on a national and international level. This cross country and cross continent coverage traverses borders and extends from Oxford to the UK to Europe to the rest of the world, enabling us and our partners to reach the most ambitious and very best and brightest all over the planet. This scale is made possible by our leadership and founding of the Collegium Global Network, National Union of Student Business Societies and partnerships with our Guilds at other universities including Cambridge and the London School of Economics (LSE), all of which provide enormous scope for both ourselves and those who work with us. We know what it takes to make a real impact and the Oxford Guild’s phenomenal growth and remarkable results are testament to the power of working hard, caring about your vision and then strategically executing it. 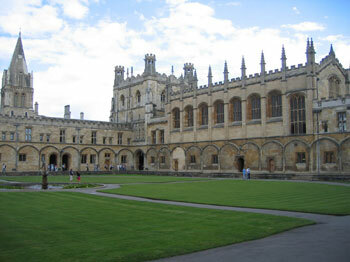 We have been contacted by enormous amounts of students and Universities from all over the world in the past few years about our model, huge speakers from Kanye West (which was the most oversubscribed speaker in Oxford in 15 years) to top CEOs and Nobel Prize Winners and many more, our many successful large events, our ventures and sponsors, for partnerships, advice and help. As a result of all this, we founded, built up and run the National Union of Student Business Societies (NUSBS) in 2012, the Collegium Global Network in 2016 and our partnerships with Guilds at other universities including Cambridge and LSE. Fundamentally we are the best at what we do because we care more and work harder, devoting more time and effort to our roles. We have a strong track record and have won numerous national awards and accolades in the national and international press with our continued success over the decades stemming from the talented committee of over 100 now (Oxford’s largest – as the society grows, as does the committee, like any growing organisation), with a culture which encompasses drive, excellence and innovation, that works tirelessly year round to provide an excellent service to its partners and members. We will continue to work harder than any organisation to ensure as many people as possible can develop skills, be inspired and supported and achieve their career goals, whilst broadening our reach and impact even further and benefit as many different people with varying interests as possible. You need to run the Society like a company as we are such an enormous institution which does so much good work to help our peers. Our thousands of members are our clients, our sponsors and partners are our shareholders, and our events and services are our product offerings. We hope to continue to provide a stellar and highly professional service to both students and sponsors for many years to come. With many exciting plans, initiatives, innovations and developments lined up ahead, we look forward to the Guild’s continued success. Watch this space.